I'm a part time doc, full time family member, and if you offer me snacks, I'll be a friend for life. My adult fiction debut is an historical forensic mystery, entitled A BEAUTIFUL POISON from Lake Union Publishing. 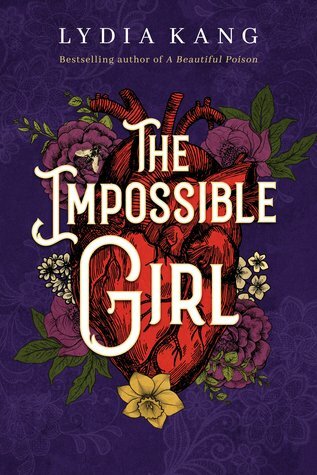 My second book, THE IMPOSSIBLE GIRL, arrives September 2018. I have a nonfiction adult book written with Nate Pederson entitled QUACKERY: A Short History of the Worst Ways to Cure Everything, coming in 2017 (Workman). And also...a new YA novel, TOXIC, a space opera about a created, teen girl who's abandoned on a biological spaceship, and the mercenary boy doomed to die on it. I've also written THE NOVEMBER GIRL, set on a remote island on Lake Superior. A girl with violence running through her veins meets a boy running away from an abusive home life. Both from Entangled Teen/Macmillan. I'm also part of the new anthology, COLOR OUTSIDE THE LINES, with Soho Teen coming in 2019! My YA sci-fi novel, CONTROL, debuted December 2013 (Dial/Penguin). The sequel, CATALYST, released March 2015 (Kathy Dawson Books/Penguin). I released a short story in the dark YA anthology, AMONG THE SHADOWS October 2015.